Owning an investment property and realizing its value is serious business. We take our property management services very seriously and understand your asset is there to work for you. By placing your property in our Crested Butte property management program, you'll enjoy the benefits of ownership while leaving the details to us. We coordinate all the bookings, sales, and maintenance on each property, while you sit back and relax! Our approach is extremely hands-on and quality of service always comes first. We'll constantly keep you up to date on all rental and maintenance information with detailed financial reports. In addition, as an owner, you have the ability to log in to your account to change your home availability dates, amenities and other important aspects of your rental. With this added feature, you now have a little bit of control over what you present to visitors of our website and the viewing your home. We are excited about this new feature and hope that you are too! We advertise Alpine Getaways on numerous websites, various newspapers, and select magazines, all of which maximizes the exposure to your property; we're aggressive and creative in our marketing and advertising efforts. 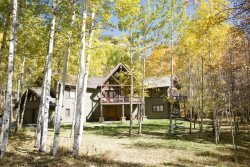 When you choose us for your Crested Butte property management company you are choosing a wide net of local relationships and the opportunity to have your property seen by a large number of potential renters. We coordinate all booking, services and maintenance work on your property — from cleaning and snow removal to repairs and contractor referrals, we'll organize things for you at every step. We're a forward-thinking, dynamic company always looking to improve our services and client experience; we leverage technology in a number of ways to meet those goals. For more information or if you have any questions about how our Crested Butte property management services work, please feel free to contact us!